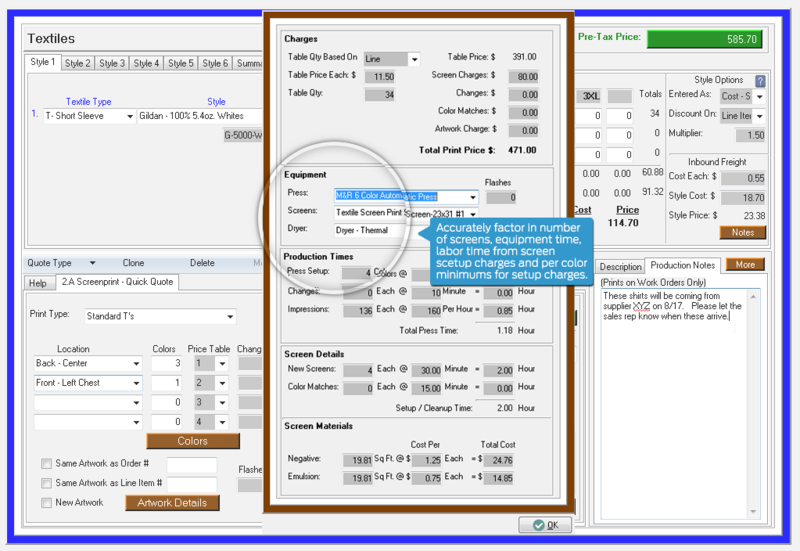 Estimating and production tools for various textile applications. Product specific screens. 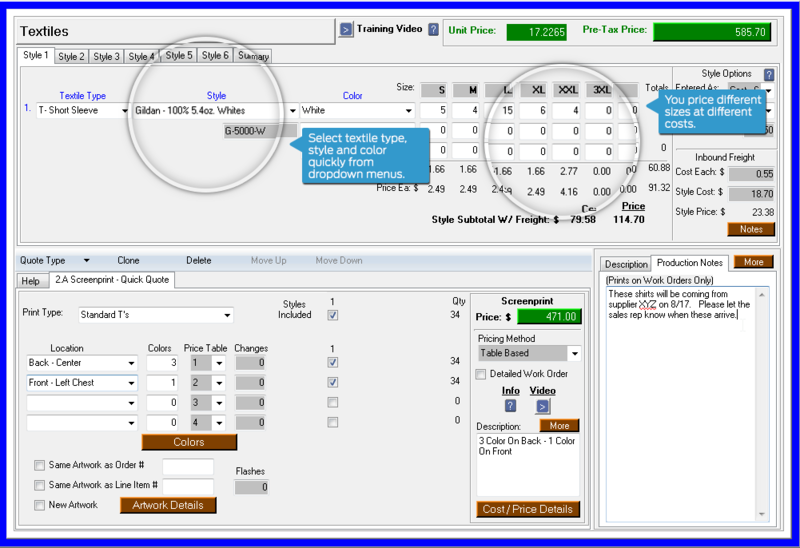 Easily calculate prices for different processes used, including direct print, screenprint, embroidery and more! Wondering about profit? Know your estimated profit on every estimate before you send it. You won't forget to charge for scrap and extras. Is your production board out of date? See all of your jobs — with jobs status and due dates — dashboards in real time. Select textile type, colors, sizes and even price different sizes at different costs. Select the appropriate textile needed then choose from several processes. For screenprint, factor in number of screens, labor time, color minimum and more! 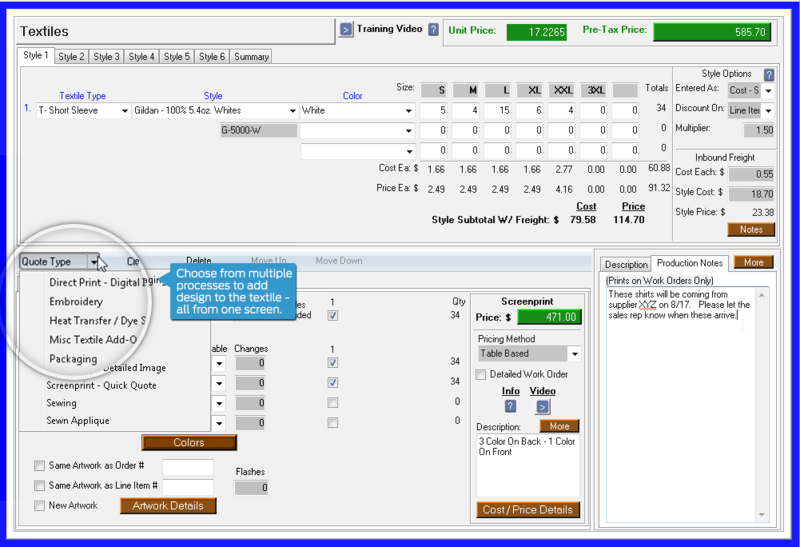 We needed the right software tool for our textile screenprinting business. It was crucial that we could markup each part and piece of labor. After comparing other softwares, it was clear that Cyrious’ textile pricing was so product specific.